Being one of the earliest and most popular Business Center Groups in Bangalore requires Evoma to be aware of changing trends and requirements of our customers – SMEs, startups, corporate branch offices and consultants. To keep them engaged and increase customer retention, Evoma is now implementing a strategy in which the real estate requirements come last. Before that, we want to provide you with everything you need to arrive at a point where you need more and better office space. The core and essential element of this new strategy is to organise and host events that are actually helpful to our potential, new and existing members. They don’t want more of the same “gyan” that they get at every startup or SME event in Bangalore. Every business executive, owner and founder that comes to our events has pretty much the same focus – help me get more sales, show me the money, and how do I meet the important people and be seen with them. It is with this focus that Evoma hosted the Biz Summit event organised by Yomillio. Organising a business event is not an easy task. It involves a great deal of hard work and advance planning, and you have to call in some favours and use all your contacts. There were around 200 participants who attended to and participated in the panel discussions, presentations and networking sessions. The event was a smashing success, with positive feedback from attendees as well as organisers. In this post, I’m going to share a few tips on how to organise a successful business event, and what we learnt from this wonderful opportunity of business event management. Firstly, we decided on what kind of event and when. 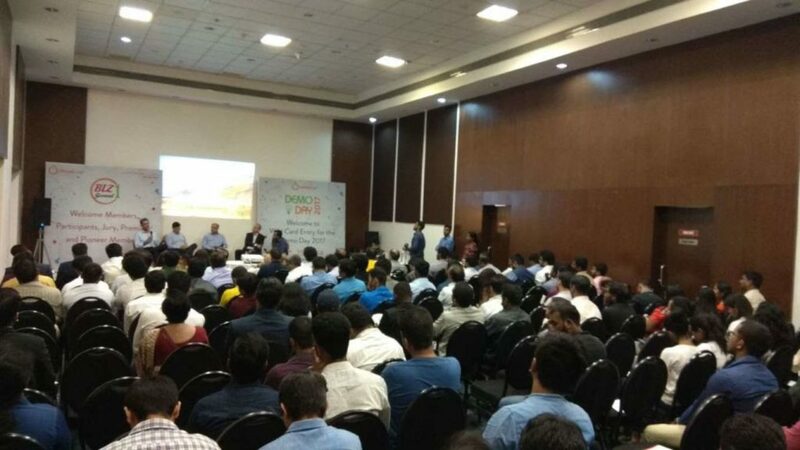 We realised that there are no major business events in Bangalore that provide a platform for startups and SMEs to network and form complementary partnerships. They’re all either startup events or events by and for SMEs and their organisations / associations. Yomillio is a business community for SMEs to get more leads, sales, funding, branding and business support services, and Evoma is a Business Center that has hundreds of startups as well as SMEs as members across our centers in Bangalore. So we thought it might be interesting to jointly bring all these startups and SMEs together so that they can meet, network and find opportunities that are as yet untapped. For example, startups can provide SMEs the technological support needed, while SMEs can provide startups access to the established distribution networks. Based on this unique idea, we started doing some preliminary event planning, starting with a checklist to maintain and follow step by step. You can use this event planning checklist that is available here. Keep this checklist handy and plan the details step by step. The first thing to decide was the event location. For this kind of business event, the Evoma Hotel and Business Center in OMR (KR Puram) was the perfect location, with a huge hall for the event, plenty of parking space, luxury dining restaurant and catering services for all kinds of corporate events. Next came the agenda, panel discussion topic, networking schedule, registration desks, menu for catering, and complete event management strategy and time slots to be filled. Then we got started on the list of speakers and panellists, and made invites accordingly. The speakers and panellists included top industry leaders, CEOs and spectacularly successful startup founders. Next up came the marketing and promos for the event. We decided to post it on all the marketing channels that needed to be tapped, and started by creating event posts on many online event sites in Bangalore. We posted on Meetup.com, along with Townscript, Eventbrite, Eventshigh, Allevents, etc., and got an immediate stream of RSVPs and registrations that pretty much filled the hall. A point that needs to be highlighted is that the event was free to attend for every one. There wasn’t much space left even to stand in the hall, but you cannot put a price on the invaluable experience of these business leaders, and the hundreds of business leads and partnerships that were formed amongst the participating SMEs and startup founders. Another point that needs special mention is the cooperation we received from others in the Bangalore office space sector, such as BHIVE’s Vijeta Shastry. Considering that every business needs to be prepared to raise funding, we also wanted to give a chance to the startup attendees to showcase their startup ideas to investors and mentors present at the event. 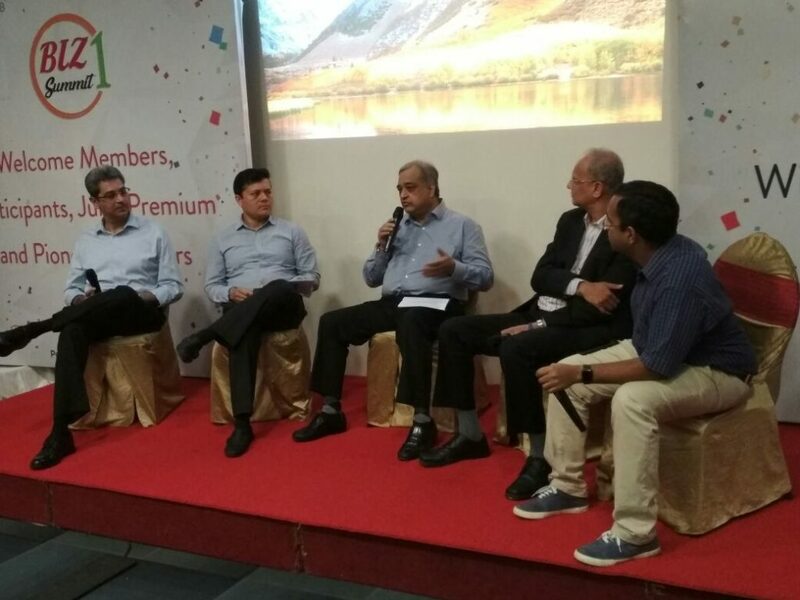 Here‘s a roundup of the startups that got a chance to pitch their ideas to the assembled crowd. Given the great feedback and the record attendance, we are planning many more such events in the near future. Most importantly, we are planning to follow up on all the leads generated from the event, and urge all the businesses who got leads from their networking and pitches to do the same. It’s great to see everyone who attended the event at Evoma benefiting and getting a chance to grow their business so easily.